Property 2: Best Value Inside The Gates Of Lakeside! Property 6: Awesome Downtown Sandusky Location, Access All The Fun And Walk Everywhere!!! Property 10: Beach Access! Minutes From Cedar Point, Kalahari, Jet Express, And Boat Basin! Property 14: Little House on the Lake Great place, great price! Property 16: 3 bedroom, sleeps 10 , WiFi, Family Friendly midweeks still available! 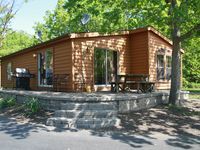 Lake Erie Cottage - Close to Cedar Point! Property 20: Lake Erie Cottage - Close to Cedar Point! Property 21: The Lake House at Cedar Point - Beautiful Waterfront Home - Private Sandy Beach! Beautiful Lakefront Property Minutes from Cedar Point! Property 34: Beautiful Lakefront Property Minutes from Cedar Point! Winter Special $99 night "LAKE ERIE, CEDAR POINT, KALAHARI, BEACHES AND FISHING! Property 35: Winter Special $99 night "LAKE ERIE, CEDAR POINT, KALAHARI, BEACHES AND FISHING! Great Beach Home With Pool And Hot Tub! Property 44: Great Beach Home With Pool And Hot Tub! Property 49: Fully remodeled 2BR! 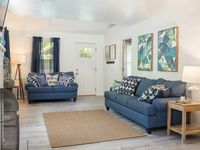 Pet Friendly Walk to beach-1 block; mins. to Cedar Point! Rating Details: The property manager was very helpful. The vacation rental was spotless. I was very happy with the location. I was very satisfied with the condition of the vacation rental. Overall, I recommend this vacation rental. Reviewer Comments: 5 guys in a 8 person cabin fishing for walleyes 7 days. The cabin was perfect for our needs. We will stay there again next year.